Car Trade-In Value Calculator | Szott M59 Dodge Ram " "
Whether you’re looking for an all-new Ram 1500, a new Dodge Charger, or even a certified pre-owned vehicle, trading in the car you currently drive is a great way to save. You can get a reliable estimate on your car’s current worth by taking advantage of the car trade-in value calculator at Szott M59 Dodge Ram. Armed with this information, you’ll be well-prepared to find the perfect car when you stop into our Highland Dodge, Ram dealership or explore our new vehicle inventory online. 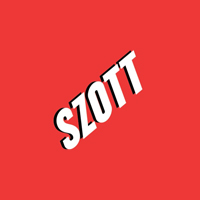 By submitting this form you agree to be contacted by a Szott M59 Dodge Ram staff member. When you’re ready to get the value of your trade-in, all you need to do is enter the correct information into the fields above. Once you’ve made the calculation, you’ll be contacted by one of our knowledgeable staff members. We’ll break down the results and help you find even more ways to save on your next vehicle purchase. If you have any questions about the process, or just want to talk to a representative right away, simply contact us or give us a call. We can’t wait to see you behind the wheel, and today’s the perfect day to determine your car’s trade-in value.